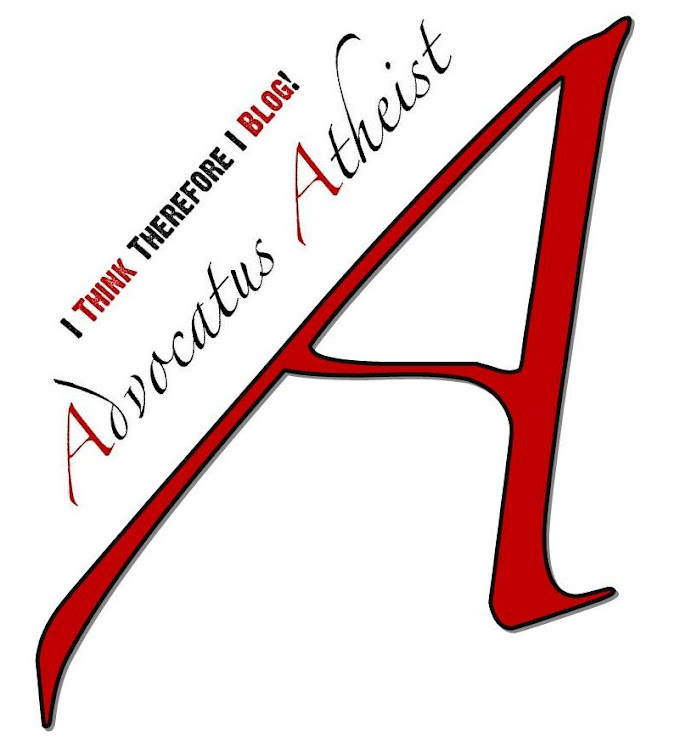 Advocatus Atheist: Does God Exist? Does God exist? An answer to an age old question. The famous theological question “Does God exist?” presupposes the question need be asked in the first place. Anyone who has thought about it should become uncomfortable with the question for the very reason that we don’t ask if bananas exist. Why not? Well, we happen to know for a fact that they do. Sure enough, I ate a banana this morning with my breakfast. Likewise, we don’t ask if oxygen exists. We happen to know for a fact it does. Although we cannot see oxygen, we can measure it in terms of volume and pressure. After all, when one is blowing up a balloon, one does not pause to ask whether or not the air filling the balloon is real or not. We happen to know it is. We can see the evidence for it in the expanding balloon caused by the very real pressure of the invisible gas. Indeed, without oxygen in the air we would cease to exist. Our reliance on oxygen and our inevitable death should it cease to exist leave no question in our mind as to reality of the situation. Oxygen, like bananas, most certainly exists. But throughout the ages the religious mind has had to ask, "Does God exist?" Why should this be but for one additional fact, which many believers so seemingly love to ignore, the lack of evidence for God. Lacking any ability to verify and demonstrate the claim, the question remains open, and one is put in the position of having no choice but to ask the question, since the state of the evidence certainly doesn't confirm the conclusion of the faithful. And so being open ended, one finds themselves pondering the question, "Does God exist?" We know God does not exist, however much the superstitious and wishful mind would like to think otherwise. We know God does not exist because the evidence of his existence does not exist. If he, by some astronomical odds, should exist, he is what we might call a recluse. But such a God would most certainly not be the Christian God. The God of Christianity is said to be quite interested in the affairs of men (and women), and if not entirely social then most certainly anti-social. No doubt, if God existed, nobody in their right mind would worship him, since he is either evil or negligent. All the suffering in this world could be attributed to God's great neglect or malicious intent if he existed. A "loving" God is an oxymoron. A "loving" God simply cannot exist in a world of suffering. Suffering is, however, very real. But even so, suffering can be better understood as a natural state of existence in a world where sentient beings are aware of what they must endure to survive against all odds which say we shouldn't even be here. Just think, that the odds would have to be greater still for God to be here! That fact that we are here, but there is no trace of God, is quite telling. So this much is certain, the God of the Christian Bible does not exist. Nor does the God of Koran, for the same reasons mentioned above. Nor any god fathomed up in the dreamings and fancies of mere mortal men. Gods are imaginary. It is the only conclusion we can come to for why God follows the trends of what it is vogue to believe in. 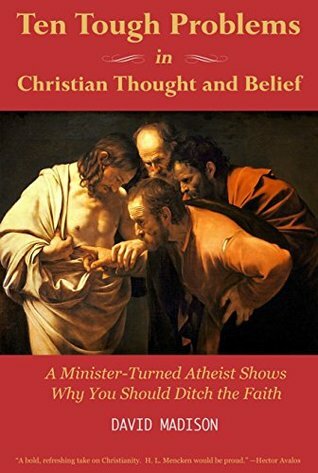 Entire pantheons of gods have come and gone, because the civilizations that invented them have changed their minds about what God should be and mean. Which is why, traditionally, there has been a variety of beliefs in a litany of gods (most of which have gone extinct). Everyone believes in different gods because gods vary with culture, because they are tied to culture. If God were real, everyone would believe in the same God. "Does God exist?" Does any god exist? It is because of the atheistic state of the natural world that the question even arises. If a "God" existed, we would not have theologians. We would simply have scientists who study the properties of God. God being absent, or altogether non-existent, theologians are left to concoct their own gods and leap to conclusions despite not once having ever confirmed a single metaphysical claim about what they pretend to know so much about. I echo Thomas Paine's sentiment that theology is the study of nothing. The theologian proves this by asking the question, "Does God exist?" What an absurd question to have to ask if God did exist! Many pious believers will become enraged, where conviction and blind faith flood the reservoir of their insecurity, with shouts of devout denial. Most certainly, they will remind us, God exists. They will say they know it in their hearts. After all, they have experienced God first hand! I am sorry to report, that our experiences can often be deceptive. But more importantly, if one truly knew, and knew in the sense of attaining knowledge unto knowing, one would not have to presume God existed as the pious do. One would not require faith. Instead, one could simply point out the window and say, "Ho, there! 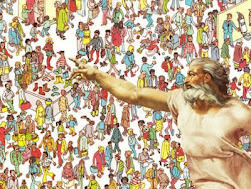 God!" Faith based proclamations of experience mean nothing. Those who shout out a conviction felt, “God is assuredly not imaginary!” to them we say, sorry, but there is no evidence to the contrary. For this reason, then, believers have no choice in the matter. They must ask, “Does God exist?” precisely because God does not exist. The very question confirms doubt. And in doubting our eyes are opened.